Great Home! This 3 bedroom 2 bath home is located in the Highlands Family Mobile Park. Large fenced yard, covered carport. Modern kitchen. Woodstove. Dual pane windows throughout. Brand new roof. Seller will offer a $2,400 credit for carpet with a full price offer. Don't hesitate as this will not last long! 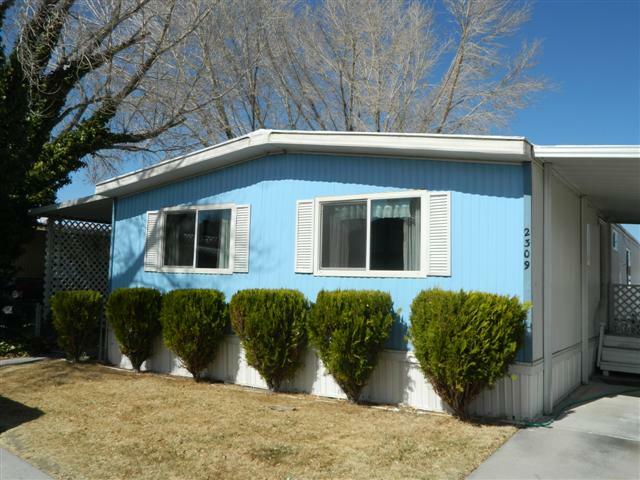 Highlands Family Park is a mobile home community located one mile north of downtown Bishop, CA. Enjoy the quiet and safe surroundings of this neighborhood. Around the park, you will often see neighbors and friends walking dogs while admiring the surrounding mountain views. The mobile homes in this area are well kept and the neighbors are courteous. Residents have use of the clubhouse and community pool. Space rent includes water, sewer and trash.